As restaurant brokers helping with site location for restaurants, we’ve seen every mistake in the book. There is a however, a SMART way to lease a restaurant. Do you remember the age old requirements for goals taught in every business class, performance review seminar and all self-help books? It’s easy to remember since goals should be S.M.A.R.T. where S is Specific, M is Measurable, A is Attainable, R is Relevant, and T is Time Bound. The restaurant brokers recommend you apply this to your goal of leasing a restaurant. If you are vague and totally unlimited in where you want to be, expect to get results consistent with this goal. As a restaurant broker, I routinely get calls from people saying, “It doesn’t really matter where the restaurant space goes, just find me a location.” That is absurd. You must be Specific as it DOES matter where you lease a restaurant. The demographics matter. The traffic flow matters. The surrounding business community matters. It ALL matters and it’s all relative to the future success or failure of your restaurant. Secondly, you must have Measurable requirements. What’s measurable when leasing a restaurant? How about rent? Someone who calls a restaurant broker and says, “Find me a space and as long as it’s a good one, it doesn’t matter what the rent is” will not be taken seriously and why should they? Your rent should be a function of your sales. If you’re doing a breakfast and lunch business that only operates Monday through Friday, there’s only so much volume you can do in a given space so yes, there is a number of rent that is too high no matter what. Another measurable component is space. It DOES matter how large your space is. If you’re doing a sports bar, it can’t be handled in 1600 square feet. By the same token, a delivery and carry out location shouldn't be 4,000 square feet (usually). Be prepared to give your restaurant broker measureable requirements for square footage, lease amount, traffic count, lease term and every other element critical to your business. If not, neither one of you will be productive in your search. Leasing a restaurant requires that your goal be Attainable. Asking for Buckhead lease space in Atlanta or beachfront property in Fort Lauderdale at $15.00 a square foot isn’t going to happen no matter how much you want it. The same thing is true of someone who says, “I just want to be in all the A+ shopping centers nearby Chipotle as a start-up” (this space is going to established multi-unit or franchisees). Do your research so that your requirements can be attained or you’re setting yourself up to fail in leasing a restaurant. Your search for leasing a restaurant should also contain Relevant criteria that you share with the restaurant broker. What’s relevant? How about your concept? We have had people approach us to do a search for them that don’t want to reveal their concept, menu or financials. That’s RELEVANT to the search and highly relevant to a landlord. In many cases, landlords aren’t even willing to show space until they see preliminary concept information and a menu. Why? Some centers clauses that restrict other operators. For example, a Publix anchored shopping center probably excludes leasing to any other bakeries. Even if there are no exclusions, a landlord doesn’t want two pizza restaurants in the same center. You have to be willing to share relevant information about you as a tenant (meaning menu, concept, background and financial information) if you are going to avoid mistakes in leasing a restaurant. Lastly, your search should be Time bound. 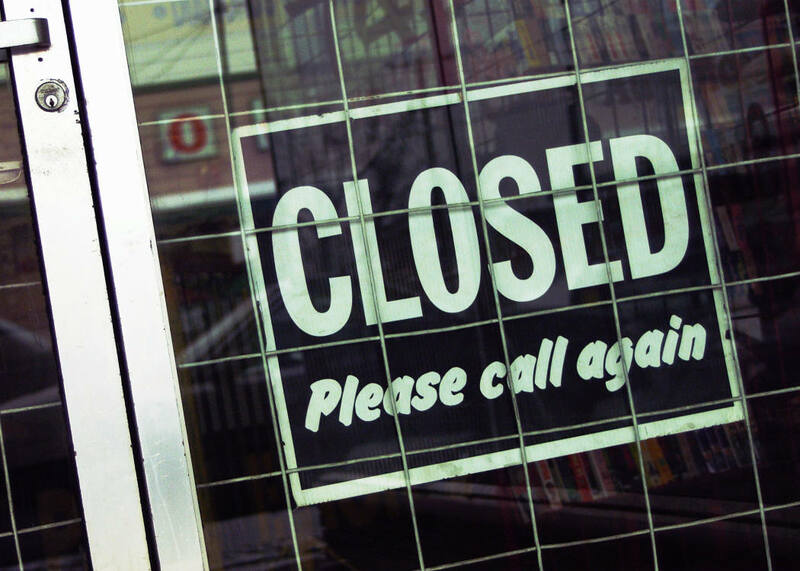 Let your restaurant broker know when you are planning to open. Looking for a restaurant for rent today when you don’t have your money together yet and aren’t sure when you can be open is just a waste of time. A deadline of opening in 30 days when you are just starting a search is alo unrealistic. Begin about six months in advance of your opening and make sure you’re ready for your search before you start drawing on resources. That’s it. Avoid stupid mistakes by being S.M.A.R.T. about leasing a restaurant. You’ll get a lot more respect in your search and better results as well. Like this ar ticle? SHARE it please on Facebook, Linked In or Twitter. 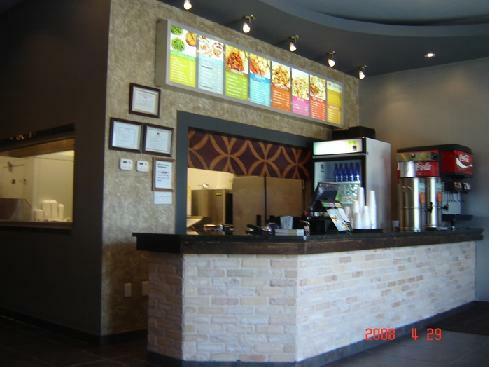 The restaurant brokers often have buyers approach us on vacant restaurant space. The price is listed at $0 so it seems like it’s pretty cheap to get into business, right? But before you go down the path of renting a vacant restaurant space to save money, consider all the real costs involved. Renting a vacant restaurant usually means there’s some basic infrastructure in place. Often, the business will have the hood and grease trap or even walk-in refrigeration. After all, the last guy in business there couldn’t really take those items with them when he left. That means you are left to put the rest of the equipment in place when renting a vacant restaurant. Let’s consider the costs. A typical equipment line will consist of a flat top, multi-burner stove, fryers, convection oven and then any other specialized equipment for your concept (a wok or pizza oven for example). That’s for the “hot” side of things. In addition, you will need refrigeration and prep station space to put the food together and move it from preparation to cooking. In all, most kitchens will have a minimum of 8 – 10 feet of equipment under the hood and another 8 – 10 feet of equipment in the prep area. That’s on top of the equipment you need in the dish bay or dishwashing station area, the sinks required by code or any other refrigeration you may need if there isn’t a walk-in cooler or freezer. Look at the pricing on the seller’s websites and you’ll find that the cost to put a minimal kitchen together even with secondhand equipment runs about $30,000 to $40,000 so the restaurant brokers recommend you use around $35,000 as a baseline in your calculations. On top of that you will need assorted mixing bowls, dough mixer, tongs, pans, pots, spatulas and cooking equipment in order to prepare food and move it from one place to another. That may cost another $500 to $3000 new or used. The next items you will need are for the front of the house. First, you will need a POS or point of sale system to register sales transactions and also handle credit card payments. You also need booths, tables, chairs or counters for the customers. Lastly, you will need “small wares” or the silverware, salt and pepper shakers, etc. in order to serve the customers. You’ll also need a couple of booster chairs and high chairs to accommodate children. Depending on what you find available second hand, you could potentially furnish the front of the house for $2,500 to $10,000 including the POS system. As you begin adding all this up, you’ll see that the restaurant brokers have already demonstrated that you need quite a few dollars to start up when renting a vacant restaurant space and that’s before you pay an electrician, plumber and carpenter to install the equipment, permit it appropriately and get it inspected. You’re still not ready to go however because you also need to get deposits together for the power, gas and landlord when you’re renting a vacant restaurant space. That can run around $3,000 for electric, $1,500 for gas and 2-3 months of rent with the landlord. All told, that can amount to another $7,000 TO $15,000 depending on the monthly rent. So, despite a zero cost, you can see from this example, that in many cases the option of renting a vacant restaurant space to save money can cost more than simply buying the assets of a restaurant for sale. If you’re considering renting a vacant restaurant space, go through listings for sale that are offered for under $30,000 first. You may be pleasantly surprised to learn it’s a cheaper option to simply buy someone else out and be ready to go. 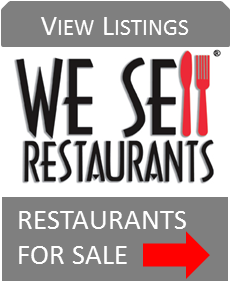 Want to see some restaurants for sale? Visit this link. LIKE this article? Please SHARE it on Facebook, Linked In or Twitter. Starting on a shoestring? Here’s the restaurant brokers recommendation – rent a vacant restaurant with used restaurant equipment. We know that not everyone is loaded with capital or has a rich uncle on the sidelines ready to finance your restaurant dream. Thankfully, that’s not the only way to get started in this business. For those on a fixed budget, limited budget or even no budget, consider looking at a vacant space that has used restaurant equipment in place. It’s a cheap and simple solution to get into business quickly and with the lowest costs. 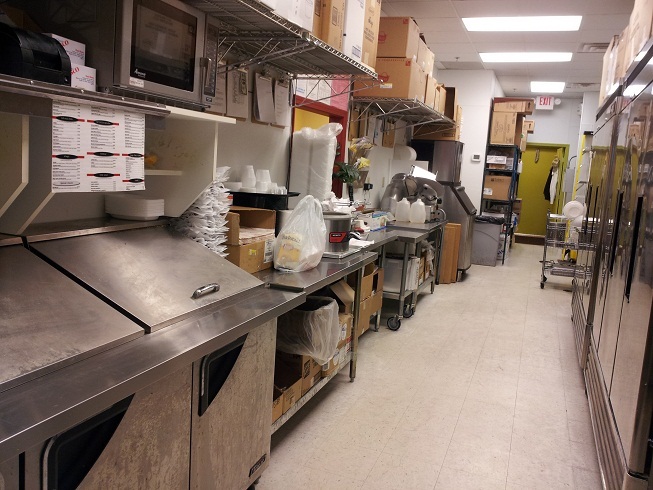 What are the pros and cons of renting a vacant space with used restaurant equipment? Well, the positives definitely outnumber the negatives. A fully equipped kitchen is very costly to set up. Compare pricing on just basic elements like a double fryer on popular equipment seller websites and a single piece ranges from $1,175.00 to $2,195.00 for new or used. A stainless steel prep station with refrigeration on bottom can be $5,668 according to at least one website. With these figures, it’s no wonder that a commercial kitchen costs upwards of $50,000 to $100,000 to set up. Compare that with taking over a vacant restaurant for rent and paying nothing for the business. Which sounds better to you? Need another positive reason for taking over a vacant restaurant for rent with used restaurant equipment? How about opening fast? Time is money. You can cut your time to open your business dramatically by taking over something ready to go versus trying to purchase equipment, deal with equipment cancellations or supplier back orders. Even if you do assemble everything you need, you still have to schedule and deal with plumbers, electricians and more to get it all installed. Want another helpful reason to take over a vacant restaurant for rent with used restaurant equipment? Here’s a hint. It also saves you money. Landlords often provide a few months of free or reduced rent when you’re starting out. You can use that free rent period to be making sales instead of arranging equipment and getting the business ready. That’s free cash flow – just what you need when you’re launching a new restaurant. Are there some minuses? Yes, but the biggest negative to getting a vacant restaurant for lease with used restaurant equipment is finding one. This type of listing is a hot commodity and though these restaurant brokers have several of these listed at any given time, they move quickly. One other disadvantage to leasing a business with used restaurant equipment could be equipment condition. Depending on the situation, the used restaurant equipment may have a few miles on it. It may not be clean, shiny and perfect. It may even need minor repairs but compare that to the cost of buying new equipment and you’ll be saying, “oh yeah, this makes some sense.” On the other hand, as restaurant brokers we have seen six burner stoves with ten years on them going strong. The very construction of most kitchen hardware means it is built to last. 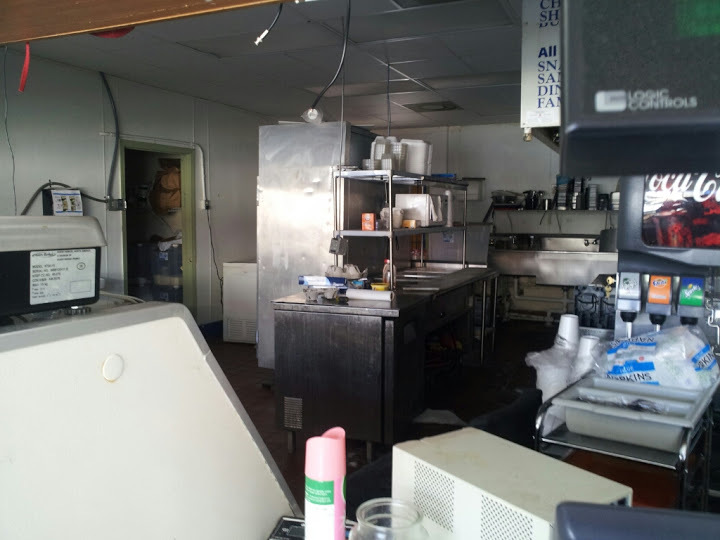 How do you overcome the down side to leasing a vacant restaurant space with used equipment? The best advice we can give you is to find a strong restaurant broker. He or she will have an entire list of inspectors and repair specialists to assess the condition and operation of the used restaurant equipment before you take it over. Another hint from the rest aurant brokers – do not sign the lease before you get the gas and electric turned on for the inspections. At the end of the day, if you’re low on funds but want to open a restaurant, taking over a vacant space for lease with used restaurant equipment is an inexpensive and practical way to get started. Who Wants an Existing Restaurant Space for Lease? If you want an existing restaurant space for lease, you're part of a pretty large crowd seeking these prime opportunities from the restaurant brokers. After all, one man’s failure is another man’s opportunity. It makes a lot of sense to take over what's known in the industry as "second generation" space if you want to open a new restaurant and here are just a few of the reasons. Cost Savings. An existing restaurant space for lease includes important assets you can use going forward. Original infrastructure items like a hood, grease trap or refrigeration are expenses that the first operator incurred. You can take advantage of these items which are generally left behind when the concept is abandoned. Many states have laws that require an owner to leave behind anything that was permanently affixed to the space so that always means the hood and refrigeration. The grease trap (at least underground ones) can’t be moved and are pretty much permanent once installed. The difference between taking over a 2000 square foot space that already has refrigeration, a grease trap and hood and a “white box” space where you have to install these items is $50,000 dollars or more. That money can go into your new concept’s advertising and marketing program to drive your success instead of in items critical to your success but not too fun to buy or show off. Time is money. If you have a great idea for a restaurant; second generation restaurant space is ideal. You can be open and operating in a very short period of time when the location has already been permitted, licensed, and operating as a restaurant. Reducing the amount of red tape and time spent dealing with government entities is a winning idea in more ways than one. You can also get your concept to market first. When a lot of competition is taking place and new concepts are launching, being first in the market place assures you greater market share than following by even a few months. Customer Habits. An existing restaurant space for lease has already developed some traffic patterns from the initial operator, even if it wasn’t a great concept. You have the opportunity to banner to front entrance and market a new location that customers are used to visiting. Don’t underestimate the value to that original traffic pattern when taking over an existing restaurant space for lease. Expertise. Face it. You’re going into the restaurant business. You’re probably better at assembling a menu than you are at swinging a hammer (at least we restaurant brokers hope so). Your effort and energy needs to be one hundred percent focused on your new concept instead of chasing down the electrician or plumber to finish a job or finding a painter that will show up on time. The corresponding reason why some owners don’t want an existing restaurant space for lease is much less practical and a lot more tied into emotion. As restaurant brokers, we find the number one reason people don’t want to lease an existing restaurant space is because of ego. As an owner, you want to put your stamp on something and “build” it from the ground up. Our best advice to you is to put aside these emotional elements and focus on the success of the business. You will be much better positioned to build the “ideal” restaurant after you have on successful model open and operating. Renting an existing restaurant space for lease is the most cost effective and quickest path to opening that first unit. If you’re in the market for an existing restaurant space for lease, contact the restaurant brokers or visit our listings online. An article in today's Atlanta Journal Constitution confirms what restaurant brokers at We Sell Restaurants have been saying for a while. Landlords aren't desperate. The latest numbers reveal that Atlanta's vacancy rate is improving faster than other parts of the country. While the rest of the nation had a vacancy rate that improved by .1 percent (a decrease) in the last three months, Atlanta's fell at three times that rate or was down .3 percent. The Atlanta Journal Constitution published the article bearing these statitics today from Reis, Inc. a commercial real estate analysis firm. The average national vacancy rate is 10.9% versus Atlanta's 14.1% but for our region, the rate been on decline for two straight quarters. That's two pieces of good news for Atlanta. A rate falling faster and six months of a positive trend. Our restaurant brokers and have experienced a resurgence in activity around restaurants for lease over the past six months. We predicted in fourth quarter of 2011 that the best deals in Atlanta had peaked. That's in line with this research. This doesn't mean you can't still get a good deal on a restaurant for lease. There are plenty of spaces available. It is not realistic however, to believe you can walk into prime areas and take over a prior owner's furniture, fixtures and equipment for free AND get a great lease rate. Landlords are also asking for more from prospective tenant. It's a good idea to be prepared up front with a current credit report, personal financial statement, business plan and a menu. Here are 3 quick tips to help you when searching for vacant restaurants for lease. 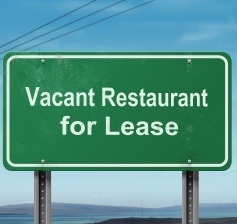 Tip Number 1: The best vacant restaurants for lease are never advertised. The vacant restaurants with signs in the window represent a very small percentage of the actual market. Landlords know far in advance of the restaurant going “dark” that the tenant is in trouble. He or she will typically work directly with expert restaurant brokers in Atlanta or Denver to find a new tenant before the business ever closes its doors. That’s why it’s a good idea to work directly with a restaurant broker and let him or her know what you’re looking for. When the landlord calls and says his midtown client is in trouble and only has a few months, they’re putting deals together behind the scenes. This is well in advance of any advertising of the vacant restaurant for lease. Tip Number 2: The person answering the phone from the sign doesn’t represent you. The person handling the vacant restaurants for lease with a sign in the window works for the landlord. He has one goal and one goal only: lease this space for the landlord. The only properties he shows you are from the person that pays his salary. If a better location for your concept is a quarter mile away and he doesn’t represent it, he will not tell you about it. That’s why it’s a good idea to find someone to work with restaurant brokers (Atlanta or Colorado) that give you information on all the vacant restaurants for lease in the market rather than a select few. Tip Number 3: Using a restaurant broker to find vacant restaurants for lease is usually free. That’s right. There is usually no cost to you for using a restaurant broker (and no additional fee to the landlord). The landlord has already predetermined commission on the space. If you aren’t represented by a broker, the commission is the same amount except the landlord’s leasing agent gets 100%. There’s no financial gain if you do not have representation and there is a lot of expertise you can miss out on. Protect yourself by asking anyone you’re working with if there are any fees. Before moving forward with a signature on that restaurant for lease read this article and avoid costly mistakes that have long term credit implications. Have an exit strategy built into the restaurant lease in case everything goes wrong. No one goes into the restaurant business expecting to miss the mark but sometimes, life get in the way. Partnerships or marriages go south. People get sick. Before you know it, you’re digging out that signed agreement with the landlord you didn’t pay enough attention to when you were searching for a restaurant for lease and discovering you left off the “out” clause. Before signing, make sure there’s a reasonable way to terminate the lease. You don't want a huge financial obligation hanging over your head for the full term of the lease. Make sure you are dealing with a landlord on a restaurant for lease that allows you to transfer the business. Don’t wait until you get an offer too good to refuse and learn your landlord has no specific requirement to execute a transfer in a reasonable period of time. Your agreement on a restaurant for lease should require a specific, measurable time frame for a lease transfer and not the most common language saying “it shall not be unreasonably withheld.” To protect your credit, be certain your document says up front that when the lease is assigned or transferred you have no further financial obligation under the personal guarantee. Landlords are famous for transferring the lease and keeping the original tenant on the hook as a guarantor. You don’t want your credit guaranteeing the next operator’s performance. Know your costs up front for any transfer on a restaurant for lease you are considering. Some landlords will allow transfers but they attach undefined costs to the process. You don’t want to prepare to sell and find it’s going to cost you thousands to make it happen. Negotiate whenever possible for vacancy rates and anchor abandonment. You can operate a great restaurant but if the major anchor tenant abandons the complex and you’re in the midst of a ghost town, it can destroy your restaurant business and your credit. Write language into the lease stating that if the center become less than 70% occupied, your rent reduces. Carefully read and understand the administrative clauses, common area maintenance costs, tax increases and all other charges associated with any restaurant for lease. Many tenants look only at the base rent and don’t cap or fight for these other charges. You can find your credit destroyed even if you make every base rent payment but miss paying special assessments or other charges that get folded in as common area maintenance charges or CAMS. Use these five strategies to protect your credit any time you’re negotiating on a restaurant for lease or use an expert restaurant broker to negotiate these terms for you. A letter of intent is the way to cement the terms between a landlord and restaurant tenant. 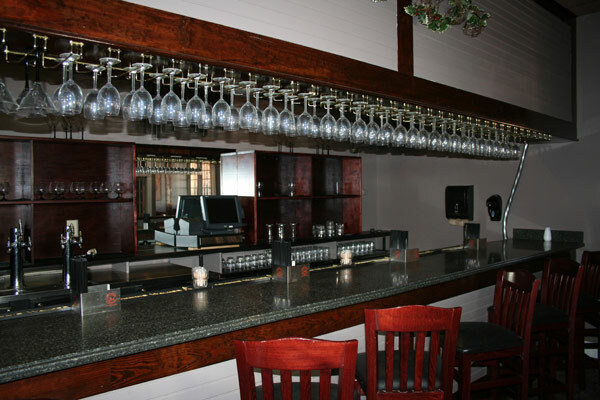 If you are leasing a second generation or former restaurant space that contains existing equipment, it is important to include a clause in your Letter of Intent that clearly defines the current furniture, fixtures and any other equipment that will be transferred to your use during the terms of the lease. In addition to adding the clause to your Letter of Intent, you should also include an itemized list of the furniture and other equipment you will be allowed to use. Itemizing the current furnishings is important because the previous tenant may remove the furnishings and equipment between the time you tour the restaurant and the time you sign the lease. Another common occurrence you may encounter is a landlord that neglects to tell you that the furnishings, fixtures, and equipment will be removed before you rent the restaurant space. When you are including the amount of square footage you will rent, remember that patio space that is exempt from the total square footage unless it includes walls, ceiling, heating and air conditioning. When the patio includes these components it is then considered a room however, if the restaurant has an open patio space make sure you include the term “approximately” when defining the square footage. When you are negotiating the terms of the lease it is common to initially lease the restaurant on a five-year term with an option to renew the lease at the end of the five years. Requesting a term any less than five years generally results in a counter-offer from the landlord. It is also important to be aware that if you request fewer months of free rent in the preliminary term, this will result in a lesser amount of months of discounted rent because the landlord must amortize the amount during the initial term. Calculating the rent for commercial restaurant space should include the base rent fee plus the amount of the Commercial Area Maintenance (CAM) fee calculated on an annual basis. The total of the base rent plus the CAM fee should then be divided by twelve to calculate the total rent on a monthly basis. Let’s use an example calculation based on an area square footage of 1,631. If the CAM fee plus the base rent amounts to $18.50 per square foot, you would multiply $18.50 x 1631 to calculate an annual amount of $30,173.50. The annual amount is then divided by 12 months which equals $2,514.46 per month for rent. When you are calculating Common Area Maintenance, it is commonly distributed among everyone that is using the total area of square footage. For example, if you are renting a restaurant in a shopping mall every business in the mall contributes to maintenance services such as garbage pickup and other types of services on a square footage basis. On the other hand, if the restaurant is located in a standalone building you are responsible to pay the property taxes, building insurance, and maintenance costs through a triple net lease also known as a net, net, net lease. You should always agree to the pro-rata share and not more than that. The pro-rata share is calculated on the square footage as defined in your lease and is termed as “in proportion.” For example is you are leasing 1631 square feet and you are located in a mall that totals 10,000 square feet the Common Area Maintenance fee should not exceed 16.31%. This protects you as the tenant in the event the shopping mall becomes vacant. If you agreed to more than 16.31% you would be responsible for all of the common area maintenance plus takes and insurance. It is also a good idea to negotiate the Common Area Maintenance fees at a minimum during your first two years of running your restaurant business. Placing a cap on the Common Area Maintenance also protects you from item increases you might otherwise be required to cover such as taxes and insurance. More often than not, landlords are laid back about working for toward the best price on insurance and fighting the city on outrageous tax increases so placing a cap on the CAM fees will help you to control the costs. If you begin with placing these five points in your Letter of Intent when negotiating a restaurant lease this will result in a successful agreement that is beneficial to both parties. Make sure you use an attorney since the small details will be negotiated later and placed in legal language in the lease. Employing an attorney will ensure that the lease serves your best interests and it will help you to understand everything before you sign on the dotted line. There are plenty of misconceptions about leasing a restaurant. Here the most common three. Myth #1: If I do the buying myself I can get a better deal because the landlord will not have to pay extra fees. This is a misconception because there is no financial gain if you are not represented by a broker. The reality is that the commission has already been determined on the restaurant space and remains the same even if you do not use the services of a restaurant broker plus the leasing agent for the landlord will receive 100 percent. Although the representative for the landlord can offer useful information you still have to be concerned about the things that he will not share with you. The landlord’s representative is familiar with the property and will have information pertaining to the property and current tenants however you can obtain all of the same information if you are represented by a restaurant broker. The representative for the landlord is not looking out for your best interests but if you use the services of a restaurant broker they will act on your behalf and be loyal to your interests. They will provide you with information if another space becomes available prior to the finalization of the lease and they will negotiate the lease with your best interests in mind. 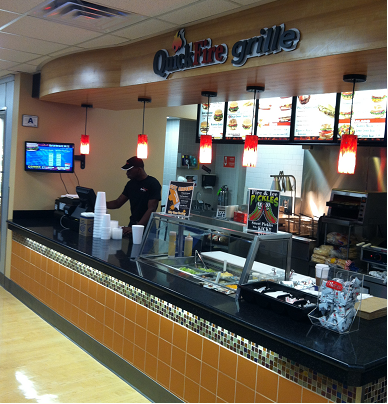 Additionally, they can provide you with sound advice and offer information about other restaurants in the local area. Myth #2: I do not need to use a broker since all they do is call the number on the advertisement to set up arrangements for me to see the space. This is another common misconception because your broker can represent your best interests because they are experienced enough in the industry to negotiate a successful transaction. If you do it yourself you are on your own. Also, the reality is that it is much easier for them if you let the landlord’s representative handle the transaction because when someone else is looking out for your best interests they will challenge them at all costs. They also do not want to share the commission with your representative. For this reason, you do not want to have a family member that is involved with real estate to negotiate the deal so you can collect the commissions. Although you may gain thousands in the commission you may lose your fortune in the process due to a bad decision. If you work with an experienced restaurant broker they can keep you up to speed with industry specifics such as HVAC and hood system. Chances are the representative for the landlord does not specialize in the restaurant business so they would have no way of knowing whether an HVAC unit is properly sized for a restaurant operation. If you open your restaurant after negotiating the lease and start operating the unit, you will find that your customers are dying from the heat which will obliterate any commissions that you have collected. Also, the representative for the landlord will only be able to compare the rent that the landlord is charging. If you work with an experienced restaurant broker they will have comprehensive knowledge of the market level data and competing rents based on their experience with negotiating many leases with many landlords. The restaurant broker will have a handle on the latest trends with regard to rent abatements and concessions, tenant improvement money, and current leasing rates and terms available. The representative for the landlord may be aware of some of this information however they will not share it with you since it means negotiating against themselves. Myth #3: If my lawyer is processing the terms of the lease it is not necessary to use a restaurant broker. This is the third misconception that could cost you time and money. When it comes to a commercial lease it will be necessary to have every resource you can to reduce the risk and minimize your costs. The average commercial lease can be in excess of $8000 per month over a period of five years which totals $480,000. Although your attorney has the skills necessary to act in your best interests by focusing on the language of the lease, an experienced restaurant broker can assist in the areas of the lease negotiation where your attorney lacks knowledge. The restaurant broker will make sure the lease is going to work out with your landlord by focusing on the business terms and making sure that getting in and out of the lease is covered in the event things to do not work out. You can look at it from the angle of a pre-nuptial agreement that can be followed in the event things go south with the relationship. Hundreds of fully equipped restaurants for lease are free to qualified buyers but you need an expert restaurant broker to help you with secrets to getting them. Secret number one. The phone number on the sign rings to a leasing agent representing a shopping center owner or developer. He or she will work hard to show you that restaurant for lease. However, their duty of loyalty is to only one person–the landlord. It is a myth that you will save money on leasing an restaurant without a broker and that’s secret number two. The landlord has a set commission. If you don’t use an expert restaurant broker, the landlord’s representative gets 100% of the commission as well as 100% control over the deal. With no net difference in cost to you, why would give over 100% control to someone that is negotiating against you? Secret number three. The landlord’s leasing representative leases everything from dry cleaners to grocery stores. He has no specialized experience about restaurants for lease. He won’t be able to tell you about the average costs for build out of restaurant lease items like a grease trap and hood. He won’t volunteer that the air conditioning is under-sized for a restaurant for lease or may not know that restaurants require more HVAC than retail space. Landlords contact the best restaurant brokers with their closed restaurant space for lease as soon as they suspect it’s going to be available and that’s secret number four. The prime restaurants for lease move very quickly. If you find a space that’s been sitting, it could be an indication there’s a problem with the location. A strong restaurant broker can tell you. Secret number five. There are multiple ways to overcome either a credit deficiency or lack of liquidity so you can lease a restaurant. These can include: extra months of deposit, a second guarantor on the lease, an irrevocable letter of credit or security against other assets. Secret number six. Tenant improvement money or “TI” is not free. You will be paying this back in the rent amount at some ridiculous rate of interest that’s never clearly calculated for you. It’s all part of the landlord’s top secret formula for arriving at a square footage price for restaurants for lease. This can seem like a huge amount of money in the short term but you pay it back in the long term. Secret number seven is the one no one likes to talk about. You don’t enter the restaurant business planning to sell or close but it happens. Exit strategies can and should be negotiated into the initial lease. This includes transferability, relief of personal guarantee when the business sells, and the cost and time to get a new tenant approved. Secret number eight. Certain clauses are for the landlord’s benefit and should be eliminated in negotiating your restaurant lease. They include – an experience clause for a future restaurant tenant, a percentage amount on the transaction for change of ownership paid to the landlord and confidentiality regarding details of your Atlanta restaurant lease. Secret number nine. Though landlords don’t like to do it, you can and should get language inserted in your restaurant lease for rent reductions over anchor abandonment or high vacancy rates. Ask for your rent to reduce if the center becomes more than 50% vacant. Then if the grocery store moves out and your restaurant business drops, you’re paying less rent. Secret number ten. You can get an restaurant for lease at a great deal. Just remember to use the services of an expert restaurant broker to protect you in the transaction. They know all the landlords secrets and how to negotiate with the landlord using these secrets and more to get the best deal for restaurant buyers.